Uzbekistan became an independent state after the collapse of the Soviet Union in 1991. Since then, former communist President Islom Karimov ruled the country. His regime was characterised by a strong state and suppression of the opposition. On 2 September 2016, Karimov passed away at the age of 78, after suffering a stroke. This brought his 27 years of ruling to an abrupt end. Following his passing, early presidential elections were held on 4 December 2016. 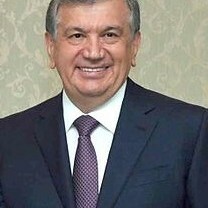 Previous vice Prime Minister Shavkat Mirziyoyev won these elections and is currently in power. Want to get notified by mail when Uzbekistan gets updated? Shavkat Mirziyoyev was born in 1957 and served as governor of Jizzakh Province from 1996 to September 2001. After that he was the governor of Samarqand Province until his appointment as Prime Minister in 2003. He was nominated as Prime Minister by President Islam Karimov on 12 December 2003 and approved by the Uzbek parliament. He replaced then Prime Minister O‘tkir Sultonov. Following the death of president Karimov, he was appointed by the Supreme Assembly as interim President of Uzbekistan on 8 September 2016. He was subsequently elected as president in the December 2016 presidential elections, winning 88,6 percent of the votes. He was sworn in on 14 December 2016. Uzbekistan is a presidential republic in which the president is both head of state and head of government. Following a national referendum in 2002, the term of office for the president was changed from 5 to 7 years by constitutional amendments made in 2003, making the president even more powerful. Before 2002, Uzbekistan had a unicameral parliament of 250 seats. The two-chamber system was introduced in 2002 after the 2002 referendum. In practice, the Uzbek parliament only meets a few times a year, which makes a real political debate and a critical attitude towards the government impossible. The president makes all decisions. Therefore, parliamentary elections are not that interesting for the Uzbek people, as their results will hardly affect the political situation. Uzbekistan has four official political parties. All are pro-government and support the president. Opposition parties are forbidden and denied registration, therefore they are unable to take part in elections. These unregistered opposition parties, or groups, predominantly function in exile. During the early nineties various opposition parties and individuals were arrested on charges of ‘anti-state activities’. 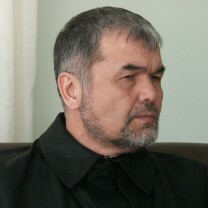 In 2006 Sanjar Umarov, head of the Sunshine Uzbekistan opposition movement, was jailed for 11 years (later reduced to eight) for ‘economic crimes’. The group had criticised the Andijan crackdown in 2005 and urged economic reform. This was an example of President Karimov’s stance on oppositional forces. Generally, oppositional organizations have had the goal of establishing democracy in Uzbekistan. Most do not have a clear program and none of them could be regarded as social democratic, however they can be considered as more progressive than the political parties that ran for parliament in the 2014/2015 parliamentary elections. Uzbekistan’s embattled and largely exiled opposition called for a boycott of this parliamentary vote, without success. On 21 December 2014, the first round of parliamentary elections were held in Uzbekistan. These were the fourth elections for the lower house of the country’s bicameral parliament. Of the 150 members of the Legislative Chamber, 135 were directly elected from single member constituencies using the two-round system. A further 15 seats were reserved for the country's Ecological Movement, which elected its members at a meeting on 21 December. The four political parties vying for the 135 seats - the Liberal Democratic Party, People's Democratic Party Of Uzbekistan, National Revival Party "Milly Tiklanish" and the Social Democratic “Adolat” (Justice) Party - all supportive of then president Islom Karimov’s government. The official total amount of voters was 18,49 million out of 20,78 million people eligible to vote, which makes 88.94 percent of the total population. After the first round deputies were elected in 113 districts out of the 135 electoral districts. In 22 districts, however, none of the candidates managed to garner an overall majority of 50 percent of the votes, and so a second round of voting was held on 4 January 2015. After the second round of elections on 4 January 2015, the remaining 22 deputies were elected in their respective districts. According to official results, out of the 135 electable seats, the Liberal Democratic Party won 52, the National Revival Party "Milly Tiklanish" won 36, the People’s Democratic Party won 26 and the Social Democratic “Adolat” (Justice) Party won 20. The turnout for the second round was 76,93 percent. Among the 150 elected deputies, 24, or 16 percent are women. The elections were monitored by the OSCE in a limited mission. In a statement on 22 December 2014, the head of the limited observation mission, Daan Everts, sent by the OSCE's Office for Democratic Institutions and Human Rights (ODIHR), said Uzbekistan's parliamentary elections lacked real competition. The elections themselves were competently administered but lacked genuine electoral competition and debate. In order to solve this problem Everts stated that “more comprehensive steps” are needed. According to the mission leader freedom of expression and association are crucial in order to properly conduct free and fair elections. The 2014 parliamentary elections were competently administered but lacked genuine electoral competition and debate. The four contesting parties, all supportive of and supported by the government, are complementary rather than competitive. Recent legislative amendments, in combination with minor administrative improvements and the nomination of younger candidates by all political parties, were presented as steps towards strengthening the role of parliament and creating a more competitive political environment. They did not, however, address main concerns with regard to fundamental freedoms that are critical for elections to fully meet international commitments and standards. The campaign was tepid and the media, impeded by serious restrictions, did not facilitate a genuine and critical discussion on electoral issues. Voting and counting were generally conducted in an efficient and transparent manner. However, the practice of proxy voting on behalf of several voters appeared to be universally practiced and tolerated by everyone present in violation of the principle of equality of the vote. The mission's full report can be found here. On 4 December 2016, Uzbekistan held early presidential elections after long time ruler Islam Karimov suddenly passed away on 2 September 2016. Karimov had dominated Uzbekistan for 27 years. He rose up through the communist party ranks (Uzbekistan Liberal Democratic Party) to head of Soviet Uzbekistan in 1989. After it gained independence from Moscow in 1991 he remained in power. Already before the new elections it was highly expected that the prime minister and interim president, Shavkat Mirziyoyev, would be elected as the new president. The four parties selected nominees to run for the presidency. Mirziyoyev represented the Uzbekistan Liberal Democratic Party, Nariman Umarov represented the Justice Social Democratic Party, Sarvar Otamurato represented the National Revival Democratic party and Khatamjon Ketmonov represented the People’s Democratic Party. The OSCE observer mission concluded that election day was assessed negatively. In 12 percent of the observations, voting was assessed negatively with observers noting serious irregularities inconsistent with national legislation and OSCE commitments, including proxy voting and indications of ballot box stuffing. The legal framework is not conducive to holding democratic elections. It was stated that the dominant position of state actors, and limits on fundamental freedoms undermine political pluralism and led to a campaign without genuine competition. Voters did not get an alternative viewpoint because media coverage was highly restrictive and controlled. Access to national and international websites with critique or analysis of the elections were blocked. On a more positive side, the election administration did undertake measures to improve transparency, and it efficiently prepared for the election. National minorities were not ignored as they had full political rights. Moreover, campaign material was also available in three minority languages. Despite constitutional guarantees of equality, women were under-represented in elected and executive office. Of the 16 CEC members, only 2 are women. Several state-supported public associations, including the Women’s Committee of Uzbekistan, actively encouraged voter turnout. Several contestants reached out to women voters in their speeches and women were generally well-represented in the audience at the 31 campaign events observed by the OSCE. With 52 seats the Liberal Democratic Party is the biggest party in the Uzbek legislative chamber. Additionally, the party also holds 41 out of 100 seats in the Senate. In the previous parliamentary elections the party won 53 seats, and in the latest elections of 2014/2015 52 seats, making them the biggest party in Uzbekistan for two parliamentary elections in a row. At a session of parliament in May 2004, President Karimov called the Liberal Democratic Party "the party of entrepreneurs, of business and of economic reform". He also said the Liberal Democratic Party was different from the other four registered parties. In 2007, Karimov was nominated as their candidate for the presidential elections, in spite of Karimov officially being ineligible for candidacy. Karimov passed away of a stroke in 2016. The People's Democratic Party (PDP) is the heir to the Communist Party of the Uzbek Soviet Socialist Republic. Although it is the biggest party in the country, with more than a half-million registered supporters, its fortunes nonetheless seem headed for a decline. Newer parties with younger membership rolls are being groomed. Deceased President Karimov for example had left the party to join the Liberal Democratic Party in 2007. The PDP was always the ruling party in parliament until the Watan Taraqqiyoti Party merged with Fidokorlar in April 2000. Most senior members of government are members of the PDP. The Uzbekistan National Revival Democratic Party was formed in 1995 with a largely intellectual membership and has a comparatively high proportion of female members. The party advocates a strong sense of Uzbek culture, desiring a cultural revival, whilst also seeking to build closer links with other states in Central Asia. The party opposes the influence of Russia in the region and attacked the foundation of the Eurasian Economic Community on this basis. It merged with the Self-Sacrifice National Democratic Party in 2008 as the two parties shared common goals. The new group has retained the National Revival Democratic Party name. The Ecological Movement of Uzbekistan has a 10 percent quota (15 seats) In the Legislative Chamber. The movement aspires to mobilize all forces of a society for the further deepening of the transformations carried out in the country directed on realization and strict observance of the rights of the present and the future generations of citizens of Uzbekistan for a life in a favorable environment, improvement of health of the population, protection and rational use of the whole complex of natural resources. The movement’s slogan is: “The healthy environment - the healthy person”. Islam Karimov was born in 1938 and was the first president of Uzbekistan, from the country's independence in 1991 to his death in 2016. He took office after the collapse of the Soviet Union, in 1991. 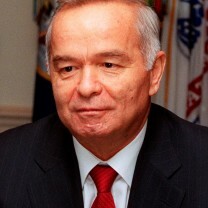 After joining the Communist Party of Uzbekistan, Karimov became its leader in 1989. Since then, he has dominated the Uzbek power. In 1995, a referendum extended Karimov's mandate until 2000, after which he was re-elected without an opposing candidate in 2000 and 2007. Using the danger of Islamic militancy to justify civil rights breaches, he was considered as a dictator. Muhammad Salih was born on 20 December 1949. In June 1990, on the Erk Party's initiative, the Uzbek Supreme Council adopted the Declaration of Independence of Uzbekistan. Salih was nominated as a candidate in the first presidential elections in Uzbekistan in December 1991 and was the only rival of Karimov. According to the official results Salih received 12.5 percent of the votes. According to the results announced previously by Uzbekistan Radio he gained 33 percent. According to the independent observers, he gained the majority of votes. Most election observers said the elections were neither fair nor democratic. After the Tashkent bombings of 16 February 16 1999 he was accused of being part of the plot and was sentenced to 15 years in prison in absentia. Salih now lives in exile in Norway where the government has granted him political asylum. Fighting corruption – a new utopia? Central Asia and the wider world: splendid isolation or nascent receptivity?